Click the "Add to Cart" button to purchase a complete set of the step by step instructions to build this swing for just $1.95.The A-frame plans are included. I built this swing for my wife’s birthday several years ago. I have had to refinish it twice because she refuses to let me scrap it and build her a new one. Since that, my daughter and Mom each placed their orders and now love their swings as well. I am certain it will give you years of good service and enjoyment. The plans are very easy to follow even for the novice builder. Only simple tools are required plus a circular saw and sabre saw. Most of the hardware is available at Rockler.com (click on the Rockler link below) at very good prices. The swing measures 48L X 24W X 24D. 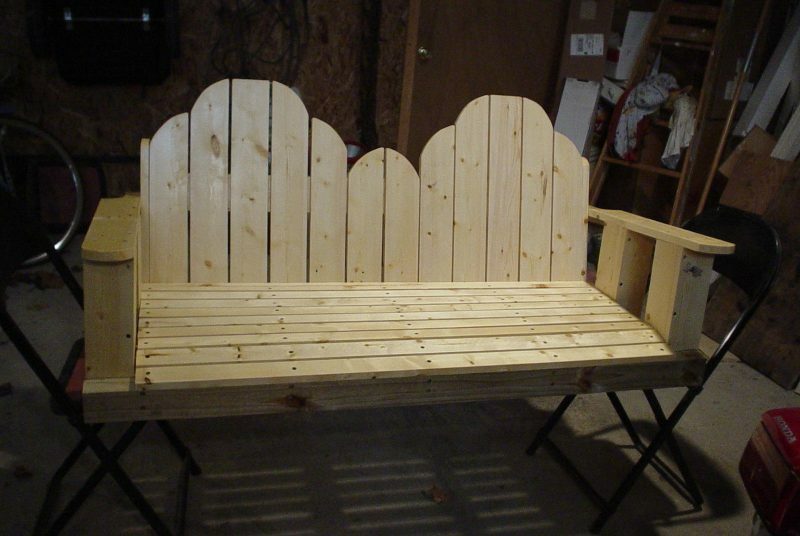 I build mine with treated pine but you can use oak with a good coat of poly if you prefer (and can afford it).